Boca Juniors formally wrapped up their 32nd Argentinian championship on Sunday evening with a 2-1 win over Sante Fe in their final game of the campaign. As you might imagine, La Bombonera erupted at the final whistle as fans celebrated the title amid a cacophony of flares, streamers and flashing lights. The club also took the opportunity to rub their rivals collective faces in their success by unveiling an enormous new clock inside the stadium. It’s almost like they’re wishing it on themselves. The idea was pinched wholesale off Hamburg, who have a similar clock in place at the Volksparkstadion to illustrate the fact that the club has never dropped out of the German top tier – although they’ve come perilously close in recent years. 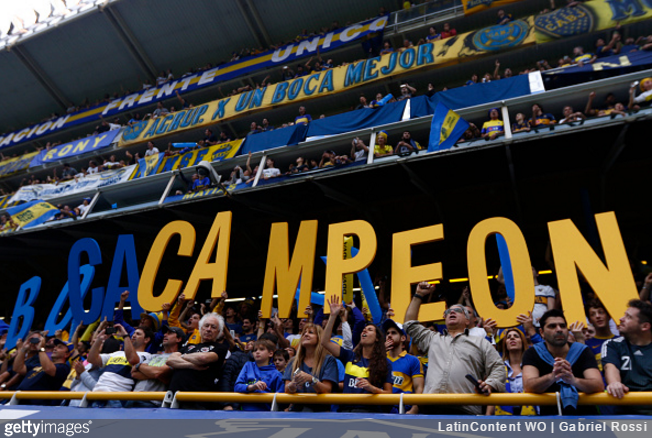 Do Pies realize that this gesture by Boca is a dig at the fact that River Plate was relegated a couple of years ago. They are back in the primera but Boca does not let them forget about what is their historic low point. 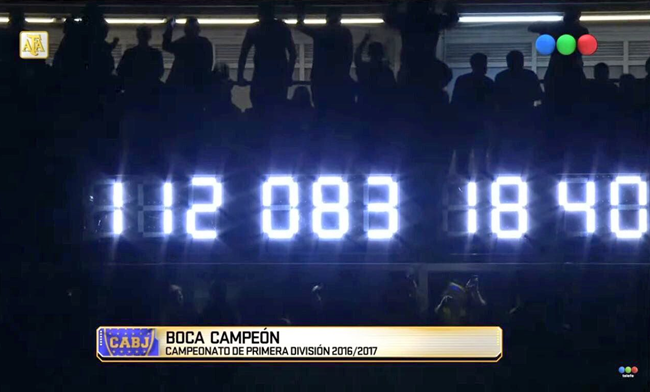 @CDH: They should have a little clock running underneath displaying the time since River Plate were last relegated too.